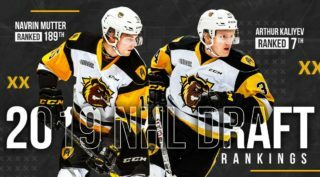 It was possibly the most anticipated game of the season….and it didn’t disappoint as the Bulldogs and Frontenacs put on a show Friday night in Kingston with Hamilton coming out with a 3-2 overtime win. The 1st period could have been the best period of hockey this season. The teams went end to end with Grade-A chances at both ends, but the stars of the opening 20-minutes were the goaltenders as Kaden Fulcher and Jeremy Helvig were rock solid keeping the game scoreless after the opening period. Special teams were the story of the 2nd period. 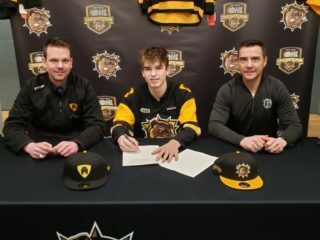 The Bulldogs got on the board first as Matthew Strome (27) finished off a 3-way passing play on the power-play to give Hamilton a 1-0 lead. Gabe Vilardi then took over scoring two power-play goals, one on a 5-on-3, to give Kingston a 2-1 lead after forty minutes. Hamilton would need a comeback to get out of Kinston with a win and it started early in the 3rd period as Robert Thomas (21) got his first as a Bulldog at the 37-second mark to tie the game 2-2. The Dogs kept the pressure on, but the game went to overtime where Brandon Saigeon (24) stepped up into the role of hero at 3:41 of OT with his 7th game winning goal of the season. 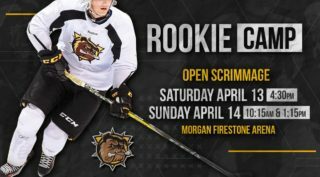 The Bulldogs out-shot the Frontenacs 40-36. Both Kingston goals were scored by Gabriel Valardi (4, 5). With the win, the Bulldogs season record improves to 28-10-3-3. Game 3 on Hamilton’s 4-game road trip is Sunday afternoon at 2 pm in Ottawa. 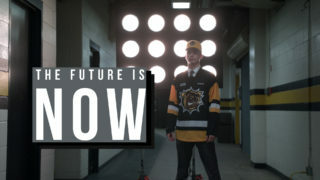 The Bulldogs next home game is Saturday January 27th at 4 pm when they play host to the Oshawa Generals at FirstOntario Centre. For tickets go to http://bit.ly/2jxxZn8.